Employed by Firepond, Inc. as Creative Director led a team that designed a site with information on health plans and services that can be presented to the customer at any point during the sales cycle. 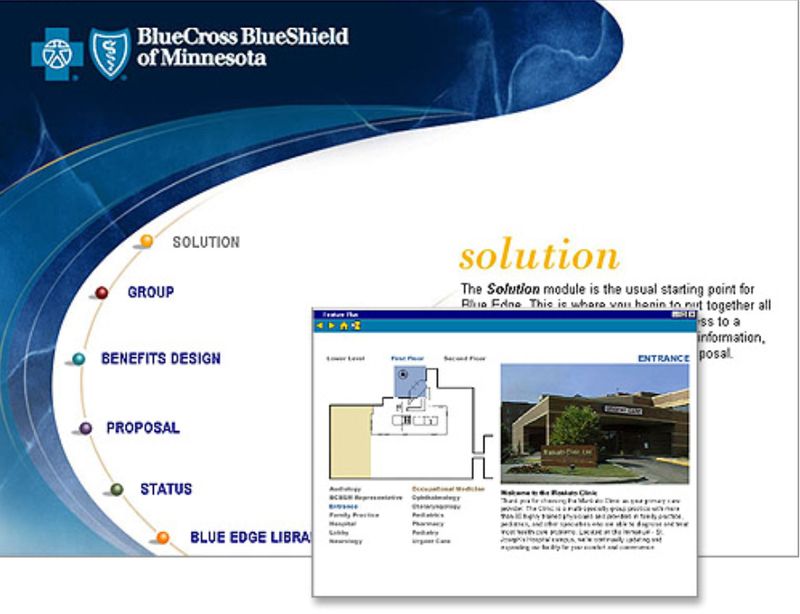 The team also created online branding and interface look and feel for BlueCross BlueShield of Minnesota, and New York. Challenge: Assist agents in presenting a “street quote” to small-group clients at a first meeting; deliver a branded, up-to-the-minute sales proposal. Solution: The system applies FirePond Application Suite capabilities to address the complex selling needs of direct sales representatives, independent insurance agents, and health care delivery networks. Every FirePond system was tailored to reflect a company’s brand identity. BlueCross’ brand assets were effectively migrated to a user interface that ensured field usage and enhanced customer experience. The application allows agents to interactively present customers with options that help automate the health insurance sales process.